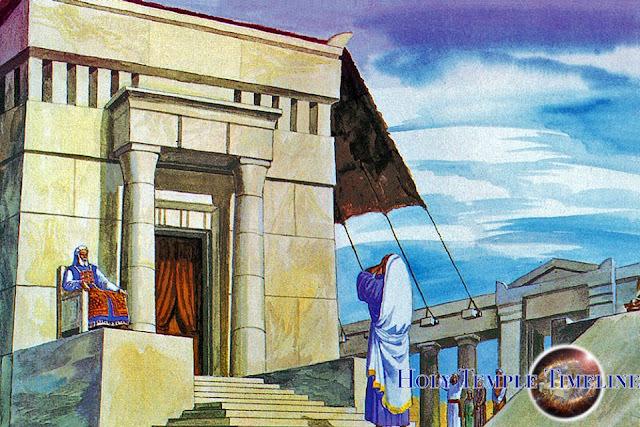 Will the Temple be Rebuilt in Shiloh? As we've shared, the Temple Institute has publicized a countdown to a major announcement on Sunday. Yesterday, they shared this picture on their Facebook page. A rebuilt Temple absolutely, without all doubt, plays a central part of the Tribulation. If they announce a plan to rebuild in Shiiloh.... Buckle your seat belts folks, it is getting interesting!!! “The scepter shall not depart from Judah, nor a lawgiver from between his feet, until Shiloh come; and unto Him shall the gathering of the people be” (Genesis 49:10).